Every women’s basketball coach in America is looking for six-foot, two-inch forwards who can score, rebound or play defense. Finding one is great, but finding two is always better. 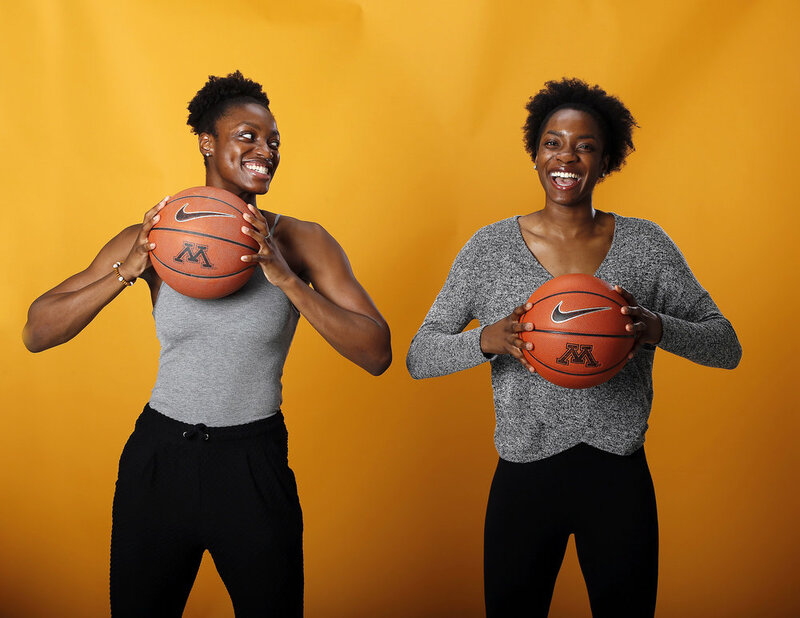 The Gophers found that in Taiye and Kehinde Bello, twin towers – and twin sisters – from Michigan who are preparing for their sophomore seasons for the Maroon and Gold. It’s fitting that the pair ended up at Minnesota. With part of its flagship campus in Minneapolis and the rest a few miles east in St. Paul, the Bellos go to a school known, of course, as the Twin Cities campus of the University of Minnesota system, an aptly named collegiate home for the sisters.